Its a Thursday night at the Sunset Grill in Annandale and Bill Kirchen is at work. Across the room, a guy wearing a backward baseball cap and a Rehoboth Beach sweatshirt is nodding his head to the music while swigging a Budweiser. At a table in the corner, two women from Michigan are thinking back to Ann Arbor in the late 60s where they first heard Kirchen play his Telecaster at the Canterbury House with a band called Commander Cody and His Lost Planet Airmen. At the bar, two guys scouting the room for potential dance partners are having an in-depth discussion about whether or not a computer date is a good idea. The Sunset Grill is packed tonight, and the space between people is getting smaller as those who have been standing outside in the 30-degree weather are finally getting in the door. The room is changing and Kirchens only done one song. 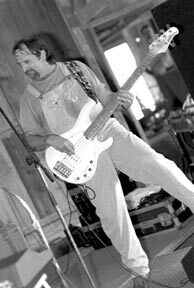 He smiles and looks at bass player Johnny Castle who is sporting an NYFD cap. Jack ODell is moving his snare drum to the side. Together they call themselves Too Much Fun. Most of the time that means we stump ourselves, Kirchen, the somewhere-in-his-50s resident of Owings in Calvert County, says while adjusting the microphone. For the past 40 years, Bill Kirchen has brought twang  a mix of country, bluegrass, rock, swamp blues and probably a lot of other styles  to hundreds of towns across the country and numerous cities throughout Europe. On February 27, the Ambassador of Twang, as hes been called, will be in Los Angeles with Johnny and Jack because theyve reached The Mountaintop. Too Much Fun has been nominated for a Grammy Award for Best Country Instrumental with Poultry in Motion from the new album, Tied to the Wheel. They are up against Alison Krauss, Brad Paisley, Asleep at the Wheel and the Foggy Mountain Boys, made up of some unknowns named Earl Scruggs, Vince Gill, Marty Stuart and Leon Russell. Yeah, Kirchens thinking the same thing. In the audience this evening, standing by the cigarette machine, is David Skibiak a long-time fan of Too Much Fun who, when not moving to the twang, works for the Washington Redskins. 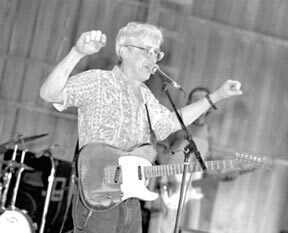 Bill Kirchens story begins long before he did. The songs in the room at the Sunset Grill range from Mississippi John Hurt, who lived through the Depression in the bayous, to Patsy Cline to Bob Dylan to tunes he wrote himself. 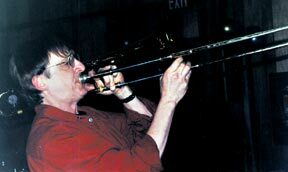 Brought up in Ann Arbor, Michigan, Kirchen played trombone in the late 50s in high school and showed enough promise that his parents sent him to the well-known summer music camp upstate at Interlochen. His counselor during the two years he attended was Dave Siglin, who was a fan of folk music as well as the classics. When Kirchen returned from the first year of Interlochen, he went to the attic in his parents house, pulled out an old banjo and practiced. Then he bought a used guitar at an Ann Arbor music store and learned more songs. In 1964, Kirchen went to the Newport Folk Festival to see his hero, Mississippi John Hurt. Also on the bill were Bob Dylan, Gordon Lightfoot, Pete Seeger and Joan Baez. In 1967, after playing with a band called Seventh Seal at an Ann Arbor music festival, his guitar work got the attention of George Frayne, a student at the University of Michigan working on a fine arts degree. Frayne had a country band named after a 1950s sci-fi movie, Commander Cody and his Lost Planet Airmen. Frayne, who was Cody, needed one more airman to play lead guitar. Kirchen didnt have to think twice. The band packed the local clubs, in part because they were pretty darn good but also because music had become part of the Ann Arbor culture. A spark was ignited not only in Kirchen and the rest of the Airmen but in another local group called the Prime Movers with a singer calling himself Iggy Pop. 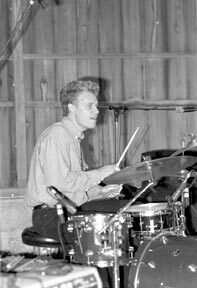 But just as the band was getting attention for its truck-driving-rockabilly during those days of the Doors and Jimmy Hendrix  who were certainly playing anything but dieselbilly  the Commander took a job teaching art at Wisconsin State University. It meant a 14-hour commute every weekend from Oshkosh to make the sold-out Ann Arbor gigs. They were on to something. A year later, Kirchen went to Berkeley, California in search of other venues for his guitar work. After a few months playing in The Ozones, a phone call was made to his buddy George Frayne suggesting he and the rest of the Lost Planet Airmen head west. They did. On July 4, 1965 at Codys Bookstore in Berkeley, the boys from Ann Arbor played to what seemed an anxious crowd. Vietnam was on everybodys mind, and before the afternoon ended the Lost Planet Airmen as well as their leader had been tear gassed by police trying to break up an anti-war demonstration that became an anti-war riot. The excitement was just beginning. They rented a house, calling it Ozone West, got a reputation for making terrific twang and, eventually, got a record contract. In 1972, Commander Cody and His Lost Planet Airmen made it into the top 10 with an old Johnny Bond song about a race between a Cadillac and a Model A and its Lincoln engine with 8 cylinders and uses them all. It was called Hot Rod Lincoln and became one of the most-talked about songs of the year because it was so, well, different. They opened for the Grateful Dead, the Doors, the Allman Brothers while having two guys  Willie Nelson and the late Waylon Jennings  open for them. The Blackie Farrell tune is coming to a close and Kirchens fingers are dancing on the high end of his guitar. 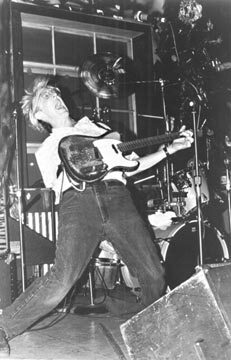 You can tell hes feeling each note and, without looking, knows both the string and the fret to make it come alive. Kirchen and Castle and ODell are watching each other, waiting for the right moment that is going to close the door. The moment hits, and they slam it on a downbeat. As they do, the Sunset Grill explodes with applause and hoots and whistles.  The room explodes with hoots and hollers all over again. Whatd he say? one of the computer dating pundits asks his buddy. Something about twang, the other yells back. Their heads nod as Kirchen continues. I guess you can call this a truck-driving, chicken-picking instrumental, he says. Theres no dance floor at the Sunset Grill, but when twang is in the room, a dance floor isnt needed. The guy in the Rehoboth Beach sweatshirt has one hand in the air and one hand on his beer as he spins and moves to the music. The two computer nerds at the bar are clapping their hands to the beat of ODells bass drum. And over in the corner, the ladies from Michigan are swaying from side to side while nodding their heads to the rockabilly. He thinks back to the years with a trombone (and by the way, the trombone appears onstage for at least one song every show), taking the idea another step. In a few days when Bill Kirchens sitting in that Los Angeles theater, waiting for the 44th Grammy Awards to be announced, he is going to look at Louise and their daughter and feel gratitude. One reason is they can experience this together. Another reason is hes still alive after 40-plus years of twang taking him around the world. And hes going to think about playing a few less three-set bar gigs so that he can see what Chesapeake Bay looks like during the daytime. Whether his name is called or not, Bill Kirchen is going to hear the applause. It might be coming from the first time he got it after he played a truck-driving tune in Ann Arbor. Or it might be the applause he gave Mississippi John Hurt so many years earlier. The applause is the reward you get  whether youre Kirchen or Hurt or the musicians whose names will be announced  when youre are always trying, just one more time, to get the song right. 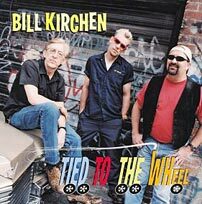 If he hasnt gotten it yet, Bill Kirchens come pretty darn close. 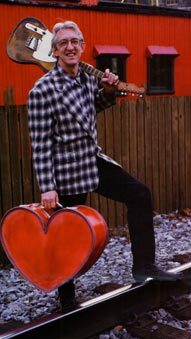 Bill Kirchen is inducted into the Washington Area Music Awards Hall of Fame on February 24 at State Theater in Falls Church, Virginia. He has consistently won a WAMMIE from this elite association of local musicians and music industry professionals. This year he joins the Hall of Fame with Nirvana guitarist David Grohl and John Phillip Sousa. Others who have received this prestigious honor include Duke Ellington, Bo Diddly, Nils Lofgren (Bruce Springsteens E Street Band lead guitarist) and Roberta Flack. On February 27, Marylands Mr. Guitar attends the Grammy Awards at the Staples Center in Los Angeles. The ceremony will be broadcast on CBS from 8 to 11pm, et. Bill Kirchens category, however, will not be televised. Bay Weekly will let you know how he does.